Alexander Rose Ocean Maldives Side Table: The Ocean Maldives Side Table by Alexander Rose is an attractive and useful addition to the Ocean Collection. 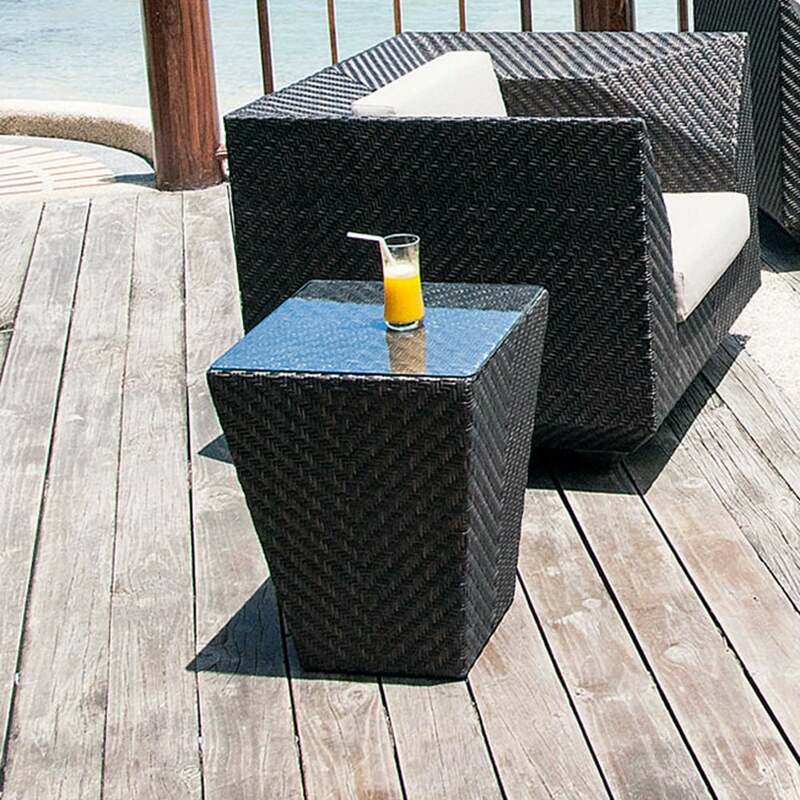 The Maldives 0.45m Side Table comes in an elegant ‘V’ and open weave pattern for a unique design, with 7mm & 12mm flat triple tone bronze rose fibres on a powder coated aluminium frame. The Alexander Rose Side Table is perfect for placing beside your sofa or chair to hold your drinks on and comes with a tempered glass surface for a low maintenance design.